"Today, dreams are allowed; tomorrow is a new day." Twenty years ago, the historic dream of an independent state of Slovenia shared by many of our predecessors came true. A feeling of pride, confidence and immense unity prevailed. Slovenia declared its independence on 25 June 1991. In his speech on the occasion, Milan Kučan ended with words that have remained famous: "Today, dreams are allowed; tomorrow is a new day." How do they look upon those times today, 20 years later, and how are they transposed to the present by the then President of the Presidency of the Socialist Republic of Slovenia, Milan Kučan, and the first Prime Minister, Lojze Peterle? What are your best and worst memories of the time when Slovenia gained independence twenty years ago? Milan Kučan: My fondest memory of those times is related to the immense unity of Slovenians and our common resolve about having sufficient strength and courage to realise the project of securing independence as a generation that was afforded the opportunity and had the chance to realise the historic dream of our predecessors. Up until then, as a nation we had not had the opportunity to have our own state. The unity at the time still fills me with joy today, as we were not able to muster such unity either before or after that. It is with reluctance that I think of the war that attempted to reverse the decision taken by the Slovenian people at the plebiscite. People stood unarmed and faced the tanks; the war took its human toll, and I remember those people with sadness in my heart, even though the character of the attack on Slovenia was very different from that on Bosnia and Herzegovina and Croatia. In our case, it was not due to a territorial policy, or ethnic cleansing, but to prevent Slovenia from establishing itself as an independent state. The essential element necessary for war was missing. This is of great significance for the process of the disintegration of Yugoslavia. 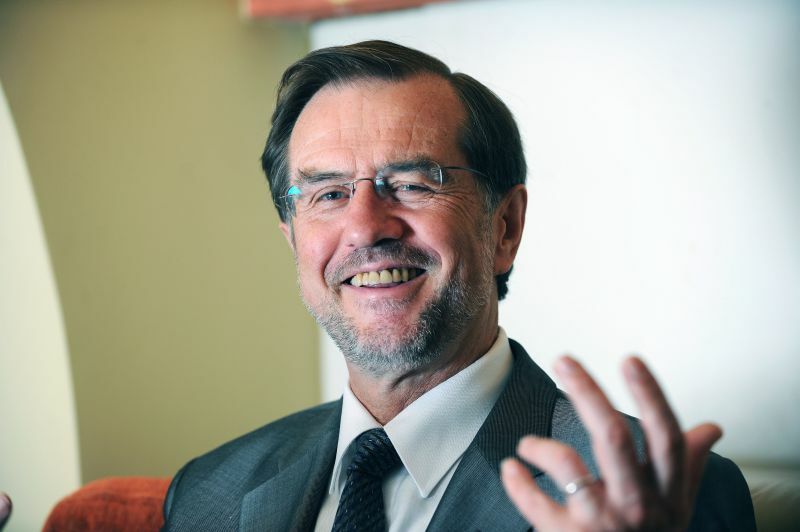 Lojze Peterle: I will begin with pleasant memories of the May Declaration, with which we clearly stated our desire for an independent and democratic country in May 1989. The memory of the victory of the Demos coalition, the parties of the Slovenian spring in the first democratic elections in April 1990, is outstanding. Power was taken by those political forces that had made independent statehood a key part of their political agenda. Some other fond memories that stand out are the plebiscite on independence; the declaration of independence; the great unity after the aggression of the Yugoslav Peoples’ Army; victory in the war for Slovenia, and the departure of the last soldier of the Yugoslav Peoples’ Army; the introduction of our own currency; and international recognition of Slovenia in January of 1992. One especially fond memory is of the meeting with Chancellor Kohl in August of 1991, when we discussed the issue of the international recognition of Slovenia. I will never forget the attitude of solidarity of my wife Branka who, in spite of many offers, refused to leave Slovenia with our children during the time of war. The bad memories I have are associated with the seizure of the arms of the Territorial Defence Force; with certain media that belittled the independence project; with the opposition's stand after the plebiscite, and with the strikes just before independence. My distinctly disturbing memory is of a telephone call from General Adžić, who threatened to level Slovenia if we were to remain firm in our endeavours for independence. Did you have the feeling at the negotiations on the Brioni islands on 7 July 1991 that there was a chance that dream would not come true, were you afraid of that possibility? Milan Kučan: No, I was not afraid, even though the climate was complicated; but I did not for a minute believe that anyone could prevent our decision to pursue independence. I knew the journey would be an arduous one, and I was not certain that it would end as soon as at the Brioni meeting, which had several phases: from the one proposed by Van den Broek, namely the return to the original position, to the one Slovenia agreed to - that it would postpone the processes aimed at gaining independence for three months and arrange for the withdrawal of the Yugoslav army. The crucial element that moved me from my pessimistic state of mind was the final draft agreement by Van den Broek, one of the signatories of which – alongside the European Community and the federal government – was Slovenia. This was the beginning of Slovenian diplomacy that led it as an entity into the corridors of international life. In the months that followed, a lot of work needed to be done, as well as plenty of patience mustered, both of which led to the joint recognition of the Slovenia state by the Member States of the European Community and, subsequently, the United States. Lojze Peterle: We went to Brioni as representatives of an already proclaimed country which was winning the war with the Yugoslav Peoples’ Army. Politicians abroad had to take new facts into account. At that point, some European politicians still hoped for the preservation of Yugoslavia, while others soon chose the pragmatic path. At Brioni, we agreed to withhold the implementation of independence, but we did not abandon the project. Many considered this agreement a cold shower, but in fact it provided us with a path to international recognition. Did you already have a vision of Slovenia’s future development at that time? Milan Kučan: It would be an exaggeration to say that it was already clear to me then how things would develop, but I knew that Yugoslavia, such as it was, did not have a future, which is why I endeavoured from the mid-eighties to gain allies for a new agreement, or failing that, at least agreement to a peaceful departure from Yugoslavia. We wished to place the Yugoslav federation on a new footing; we were not yet considering independence. It was only after our ideas fell on barren soil that it became necessary to contemplate independence. This idea was brewing in the increasingly more structured opposition, which led to the establishment of political parties, as well as the first democratic elections. The Europe Now document envisioned Slovenia in the European integration process. If this idea could not be realised within Yugoslavia, we were determined to do it outside the structure existing at the time. The international environment was not inclined to independence, and it is usually forgotten in what kind of circumstances independence was achieved. The fall of the Berlin Wall and the consequent unification of Germany were advantageous to what we were doing, as they gave rise to a sort of new political configuration that established a new atmosphere in Europe. The negative sign was associated with the future of the Soviet Union - namely, how changes in Europe would affect future developments in the Soviet Union. Luckily, this fear was unjustified, as the Soviet Union disintegrated according to a certain logic - as did Czechoslovakia - while they wanted to see Yugoslavia as an internal problem in that overall context. There was no willingness to see it as an international problem requiring the intervention of the international community, because the prevailing belief was that this was an internal conflict that had nothing to do with Europe. They thus washed their hands of the whole affair, leaving Slovenia alone to warn of the possibility of Yugoslavia breaking up. It was only when the war in Slovenia began that Europe became aware that, after fifty years, it had yet again a new war zone on its territory. Lojze Peterle: Independence was a precondition for a free future. We actually had two demanding tasks – to set up an independent state and to break away from Communist totalitarianism. Only as an independent and democratic entity, were we able to rely on international recognition and the integration of Slovenia in the EU and NATO. Our vision was based on a willingness to truly share values and principles with the European Union. This meant putting an individual at the centre, establishing the rule of law and a social market economy. How do you asses the role of Slobodan Milošević (President of the Socialist Republic of Serbia and Republic of Serbia from 1989 until 1997 in three terms of office, and as President of the Federal Republic of Yugoslavia from 1997 to 2000, A/N). Firstly, do you believe that he recognised early on that there was no possibility of preventing Slovenia from gaining independence; and secondly, how would you characterise his role at that time? Have you talked to him on any occasion? Milan Kučan: Milošević was a pragmatic politician; he entered politics without the political programme fostered by the Serbian Academy of Science and Art, which was termed the Memorandum. If one wishes to understand his moves, one needs to understand this programme. It was an unfortunate set of circumstances, with academia lacking the power to realise their programme and Milošević being without a programme. But he had the power, and these two merged into an untoward combination; that is, Yugoslavia was a state in which all Serbs lived and represented the integrative nation, while everyone else had to live according to the rules set by Serbs. If it was impossible to realise the thesis of Yugoslavia as Serboslavia, then the territories that Serbs historically inhabited needed to be secured. He was convinced that it was impossible for Serbs to be only a national minority anywhere. When the Yugoslav Peoples’ Army was withdrawing from Slovenia, it did not move to Serbia, but to the borders of Great Serbia that are to this day still the borders of Republika Srpska. Slovenia was ethnically a relatively pure country and historically not claimed by either the Serbs or the Croats. His view was that, if Slovenia could be preserved within the Yugoslavia that the Serbs desired, then they were welcome; otherwise, we would not stand in their way. Lojze Peterle: The man was very unfortunate. I never met him, but I can ironically say that we should have erected a monument in his honour, because his actions helped us enormously in our struggle for our independence. Due to his nationalist and backward-looking policy, it was easier fro us to explain to the international community why we could no longer live together in the same country. Milošević underestimated us, and he first tried with a wider restructuring of Yugoslavia in terms of the ambition for a Great Serbia. Had you received any warnings from the federal government ahead of the central celebration on 26 June 1991 in Ljubljana, when two warplanes buzzed the city? Milan Kučan: The planes were just one of the many warnings that we received even before that. More so than to Milošević, the preservation of Yugoslavia was very important to the leadership of the Yugoslav Peoples’ Army, which held the view that, if the political leadership was unable to preserve the country, then this would be done by the army. The army became a partner to politics, which had no civilian supervision looking over its shoulder. It therefore assumed the role of a political originator and realised its role through threats. It saw Slovenia as a particular inconvenience, because we had had old grudges with the leadership of the army as, after the attack on Czechoslovakia in 1968, the Slovenian concept of territorial defence was adopted because of the threat that an intervention by the Warsaw Pact could also occur in Yugoslavia. This concept had already been implemented by Slovenians during the Second World War – not in the form of a parallel army, but as a complementary army. The constant issue was whether this defence force was subordinate to the federal leadership or to the republican leadership. The federal army was of the opinion that the Territorial Defence Force was merely an extended armed force of the Yugoslav Peoples’ Army, which led to continuous conflicts due to the differences in opinion. When Slovenia chose independence, this was a great challenge to the army, and it also ended the view that the army was untouchable, so that it was subjected to civilian control. The Slovenian political leadership was therefore a disruptive factor for the army. They attempted to subordinate it – even with proclamations of a state of emergency. The planes flying over during the night of the celebration was a declaration that the army had not come to terms with Slovenian independence, and so the war was a logical consequence of that fact. Lojze Peterle: We received the first warning from the Yugoslav Peoples’ Army on the day my government was elected, when the Yugoslav Peoples’ Army started claiming weapons from the Territorial Defence Force. Some of us understood this act as a declaration of war. Thus, we immediately began defensive preparations. The talks with the President of the Federal Government, Marković, and the Yugoslav Peoples’ Army seemed unlikely to succeed. The over-flight of aircrafts was a sinister sign from the military; however, we had been receiving political indications before, despite the constitutional right to self-determination and secession. On his last visit to Slovenia before independence, Marković was very stern; although, there was no direct announcement of an attack. How do you see Slovenia today, twenty years later? Milan Kučan: Slovenia is still a success story, among other reasons because it is aware of its problems – both those brought about by the global crisis and those we brought on ourselves. We had a period of plenty, when we should have saved a portion of the wealth for difficult times, but we were living and spending beyond our means and, unfortunately, in an unproductive manner. We now find ourselves in the period of want, with no reserves, and this is having a detrimental effect on the future. We have slipped on a banana skin, and I hope that we will come to recognise the causes for the slip up and not repeat it - meaning that we will decide on reforms and on some sort of stable political atmosphere. Slovenia is not in as bad a shape as portrayed by the Slovenian internal political establishment, primarily to further particular party interests, and we should look at the objective indicators that support this view. The crisis is also the result of a psychological crisis; a sort of creation of a feeling that everything is dismal, that there is no way out, which has come back to haunt politics like a boomerang, and which is why politics and not only the government is faced with the lowest level of confidence yet. The political parties are not faring any better, as it is difficult to cultivate positivism. But it is not the data on economic growth and competitiveness that is of key importance, but social and political unity, and the feeling of social compactness of Slovenian society. A big problem is the level of unemployment – something we are not used to – which is, however, still below the European average. For comparison, let me just provide some basic data: in 1990, Yugoslavia’s GNP per capita was $5000, with Slovenia having less than $9000, while today, GNP per capita in Slovenia is EUR 25,000, which is 90% of the European average. Twenty years after the fact, Slovenia is recording an outstanding rise in welfare and economic development; we have sound foundations for further development, as well as for implementing changes, all of which requires greater maturity. I am optimistic and convinced that the parties have hijacked the state from the citizens, and that now is time for them to return it. Lojze Peterle: Twenty years ago, we took over Slovenia in a very difficult position, but the project of independence and democratisation was very uplifting. We were able to implement momentous changes and achieve unity in key political goals. Economic growth emerged after two years, and continued until the global financial crisis. For many years, we progressed dynamically and strengthened our international reputation. The image and atmosphere are different today. The global crisis has also revealed internal reasons. The fact is that we have not yet completed the transition. The ‘planned economy’ is still in operation and it has contributed significantly to the halt in economic growth. But what I am most concerned about is declining competitiveness and the deficient functioning of the rule of law. Too much attention is being paid to the expenditure side, and too little to the income side. In addition, the country is too expensive and the management of state-owned companies is poor. Slovenia has lost the dynamics of reform, and borrowing is rising steeply. The necessary reform can only be assured by a different political option. I am certain that Slovenia has the potential to change the trend and also to return policy to the service of national interests. Extremely demanding challenges await us. The outcome of the referendum on the confirmation of the new pension act was conclusively rejected by the electorate on 5 June, with 72% of votes being cast against the act. Is this a sign that Slovenia is not a reform-oriented country? Milan Kučan: One could characterise the current situation as one in which the government had the right policy, but the proposal came from the wrong government. People need to be made to understand that it is one thing to express one’s opinion about reform and another to express it about the government. We will express our opinion about the government at the elections – it is there that the government will have to account for itself and reap what it sown, whereas we are now voting on our future. If the goal is reform and the national interest, then no sacrifice is too great. This is the wisdom that goes beyond the wisdom of party interests. The pension reform is urgent, and so are reforms to health care, the labour market, higher education, the education system, etc. We have come a long way in these twenty years; we were a success story, but the world has changed completely in the meantime, so we can not go forward with the same instruments. The world is moving faster and we are lagging behind. We were successful in the past because we were ready for change, we had the will and knowledge, we adopted reforms – from ownership to the defence system reform – and made changes in foreign policy, all of which required effort, courage and a lot of motivation. We are now in a phase that requires us to take a step forward, for which we will need courage. I believe that we will be able to take that step, because this ensures a positive outlook for the future. We will adopt reforms by ourselves and not allow them to be dictated to us by the most developed countries, which would be an encroachment on the country’s sovereignty and financial guardianship. The problem is that the reform proposal is not very well established in the dialogue between social partners; its opponents are proposing delaying the reform and a resumption of the discussion, whereby they are pushing the country into a time crunch and, consequently, into a subordinate position vis-à-vis other countries. The country’s sovereignty is thus sacrificed. To me, it is the expert arguments that matter; but it is also true that referenda are dominated by a government with a low level of confidence. Lojze Peterle: This shows that we have poor government and little sense for mutual political denominators. The Government approached the reforms in an unprofessional manner and without a comprehensive package, which would also resolve the income issue. The result was known in advance. Does this indicate that there are anti-European tendencies present in Slovenia? Milan Kučan: There are by no means any such tendencies, as the standard of living in the EU is yielding positive results, and Slovenians are not attributing the problems to the EU, but rather to the incompetence of political structures to take advantage of the possibilities and opportunities afforded by living together. People believe that the euro has brought good things with it; there are no more borders, no customs controls; we gained access to new technologies; but we are perhaps regretting a little the parting with the Slovenian currency, because it was after independence that we had our own money for the first time in history. It would be difficult to find real evidence that would place the blame for the conditions on the EU, but the referendum campaign has brought about the dangerous principle of people thinking that the pension reform is being dictated to us by the EU, so that it could be presented as a threat and not as an opportunity. Lojze Peterle: Some people in Slovenia are spreading the idea that independence and the EU are to blame for the crisis, which is far from the truth. Both contributed to better framework conditions for the realisation of Slovenia’s national interests. How these conditions are exploited particularly depends on the ruling body. If we take a look at the nationalist parties in Europe, we can observe that they are strong on NO, but provide little on visions for YES. With the new common challenges which are being discussed in individual countries, a strong joint European YES is gradually becoming more necessary. National and social demagogy cannot ensure it. 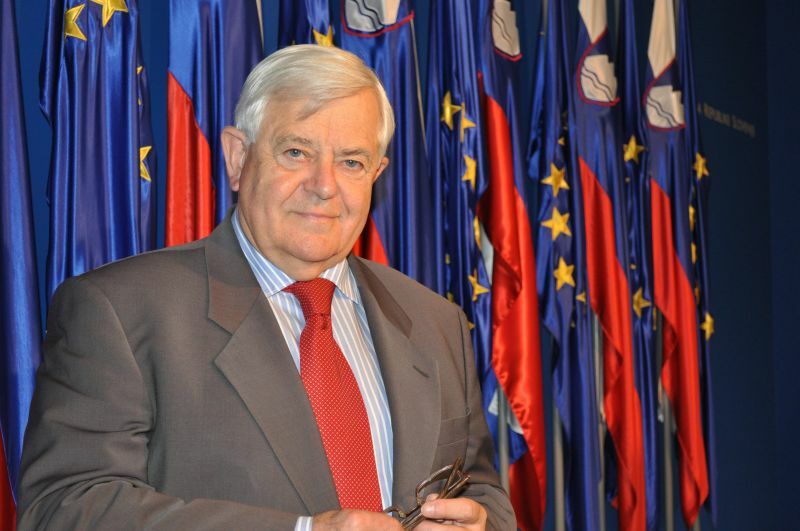 After independence and the international recognition of Slovenia, Milan Kučan was elected as the first President of Slovenia in 1992, with the support of the citizens list. He won another five-year term in 1997-2002, running again as an independent, and again winning the majority in the first round. His presidency ended in December 2002. He was succeeded as President by Janez Drnovšek. Alojz ‘Lojze’ Peterle was the leader of the Slovene Christian Democrats from the founding of the party in 1990 until it merged with the Slovenian People's Party in 2000. Between 1990 and 1992, he was the president of the first freely elected Slovenian government, and was among those who led Slovenia to independence from Yugoslavia. He is currently a Member of the European Parliament.